Humans have nearly always made art. 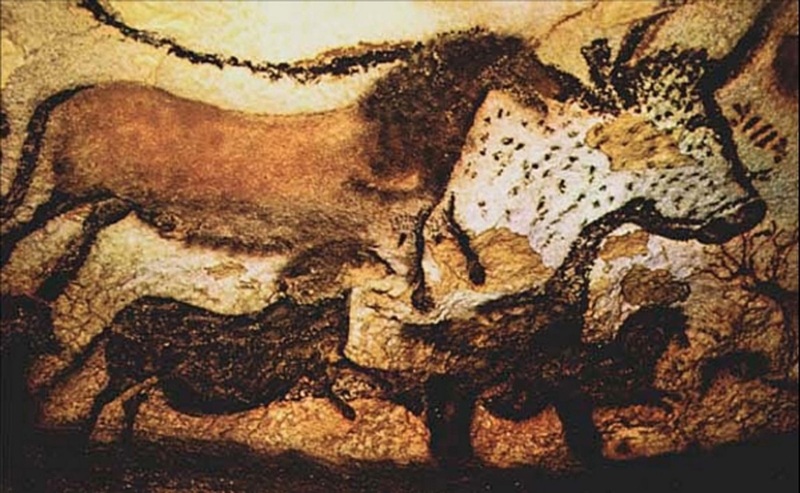 Some prehistoric cave drawings in Europe are believed to be more than 30,000 years old. 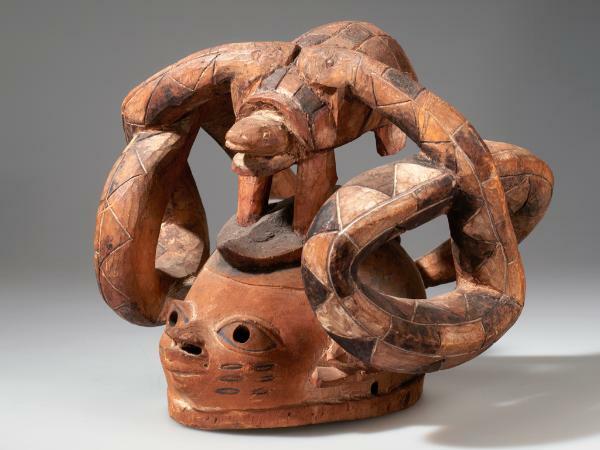 This week we’ll look at some of the art of the world’s older cultures. We know that the ancient Egyptians built impressive pyramids, which were one of our places of the week last year. 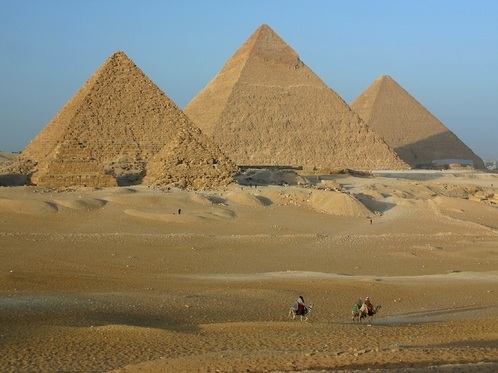 These pyramids were built as tombs for rulers of Egypt called pharaohs. 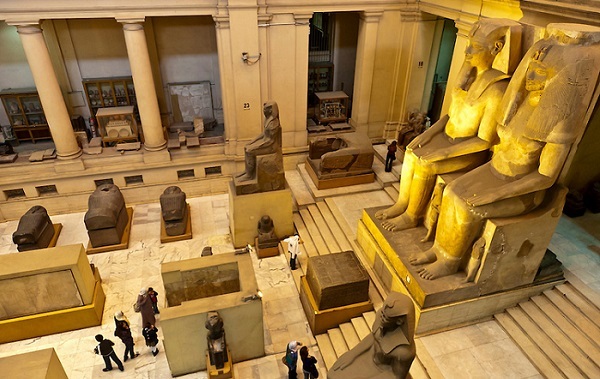 Much of the art of ancient Egypt was created for the pharaohs and for their tombs. 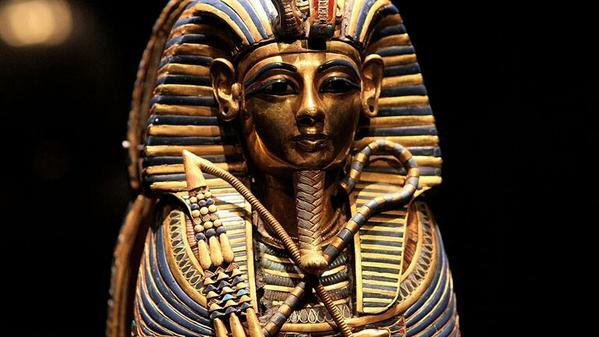 The wealthy pharaohs included many of their belongings and treasures inside their tombs when they died. They believed they would need them in their afterlife. Thieves figured this out and robbed all of the tombs. 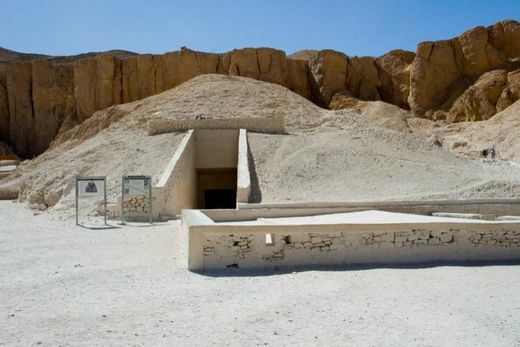 To prevent robbery, Pharaohs in later years designed their tombs to be hidden and hard to find. 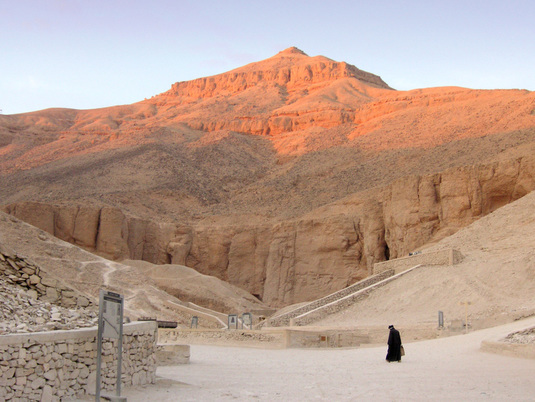 The Valley of the Kings held at least 63 tombs. But thieves still found them and robbed all but one. Tutankhamun was a pharaoh during the New Kingdom of Egypt (1332 - 1323 B.C. He died at the young age of eighteen. 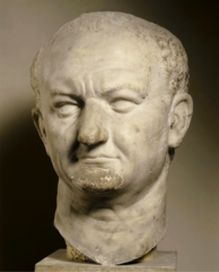 His hidden tomb was discovered in 1922 and it was filled with statues and objects and his sarcophagus. 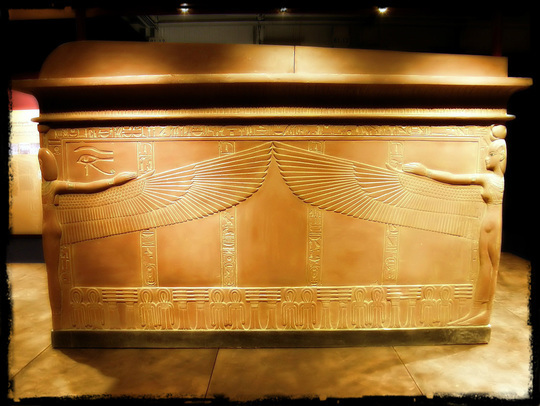 A sarcophagus is a box-like container that holds coffins. The sarcophagus of King Tutankhamun, who is called King Tut for short, had three coffins nested inside each other. The outer two coffins were crafted in wood and covered in gold along with many semi-precious stones, such as lapis lazuli and turquoise. The inner coffin, however, was made of solid gold. The golden image of King Tut holds the crook and flail which were symbols of the king’s right to rule. Inside this innermost golden coffin, explorers found the death mask of King Tut, one of the masterpieces of Egyptian art. 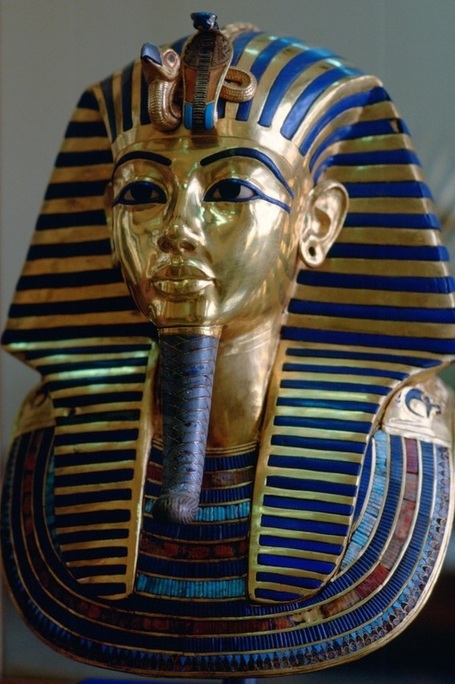 The golden mask was resting on the shoulders of King Tut's mummy. The mask is constructed of two sheets of gold that were hammered together and weighs 22 and 1/2 pounds. 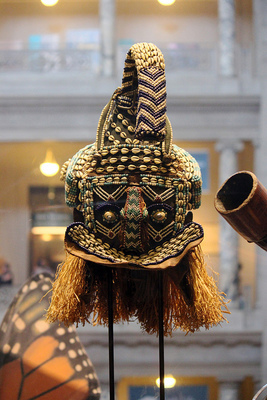 Semi-precious stones decorate the mask. This golden mask of King Tut is our Artwork of the Week. 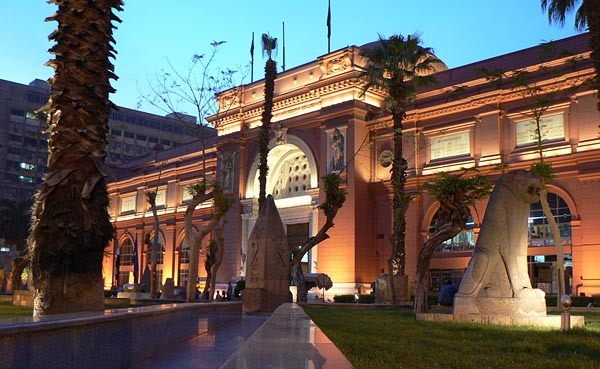 The more than 3,000 year old Death Mask, sarcophagus, and other items from King Tut’s tomb are housed in the Museum of Cairo, in Cairo, Egypt. 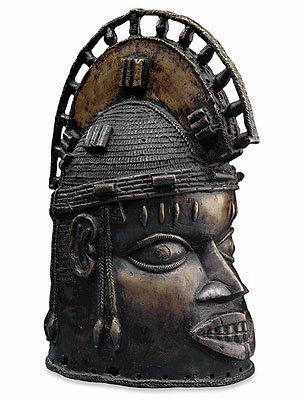 Masks have been an important art form of African culture from before the Stone Age. They typically held a spiritual or religious meaning and were used in dances, ceremonies, and rituals. 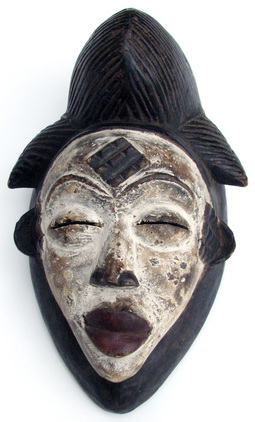 Makers of masks held a respected position and the art of mask-making was usually passed down through families. 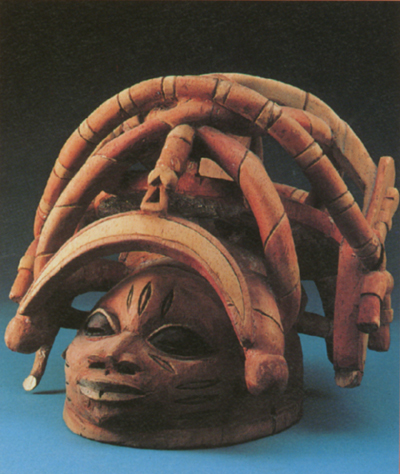 The masks were to be worn one of three ways: covering the face, resting on top of the head, or as helmets that cover both the face and top of the head. 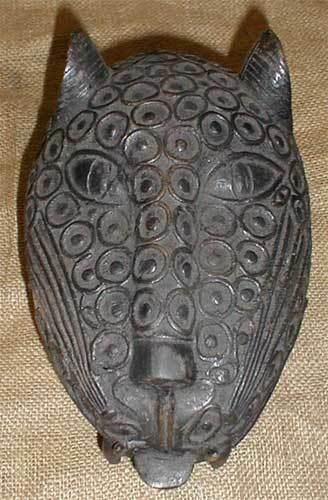 African masks were usually designed to resemble a human or an animal face, but these were often in an abstract form. 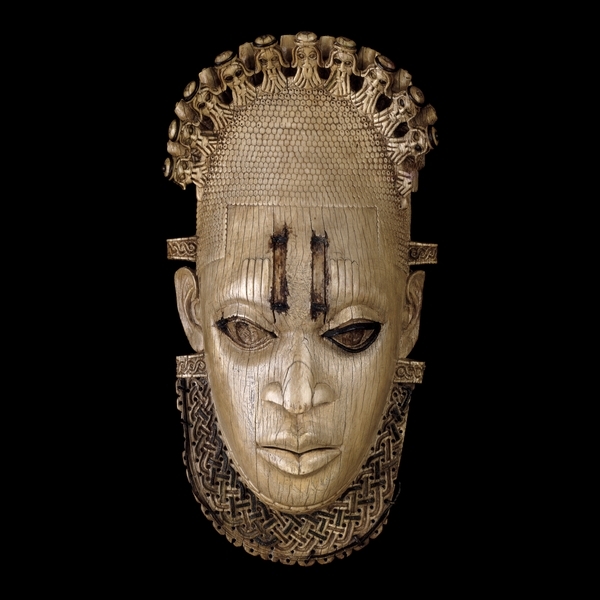 Since ancestors were an important part of African culture, masks shaped as human skulls were used to represent family members who had died. 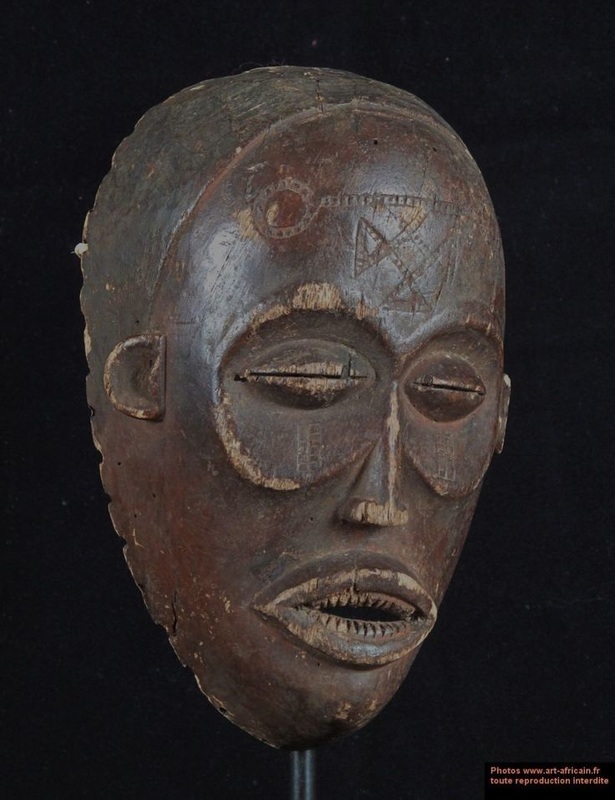 This mask of a woman's face was painted white to symbolize a long-dead ancestor. 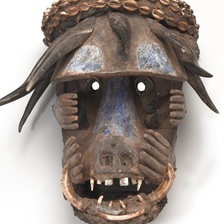 Animal masks, such as the bronze leopard mask above, were believed to enable a wearer to speak to animals, such as to ask a wild beast to stay away from the village. 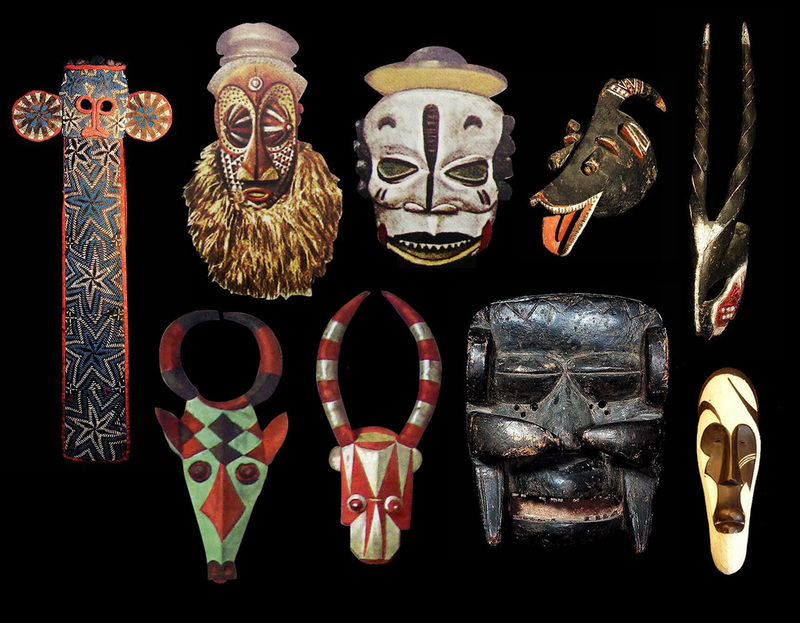 Animal masks also could symbolize a good trait. The horns represent the power of a water buffalo. Antelope masks represented agriculture. Some masks stood for moral values. 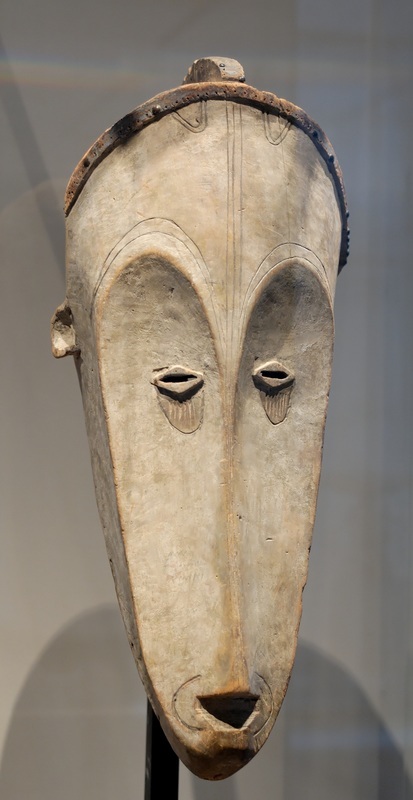 Masks with eyes half closed symbolized a peaceful attitude and patience. Small eyes and mouths represented humility. 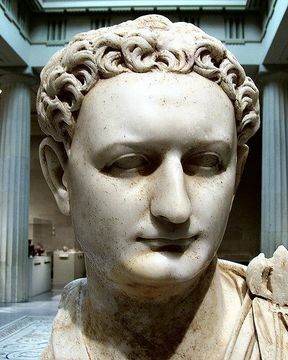 A wide, protruding forehead symbolized wisdom. 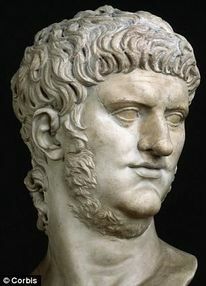 Large chins and mouths showed authority and strength. Round eyes indicated alertness and even anger. A straight nose showed an unwillingness to retreat. 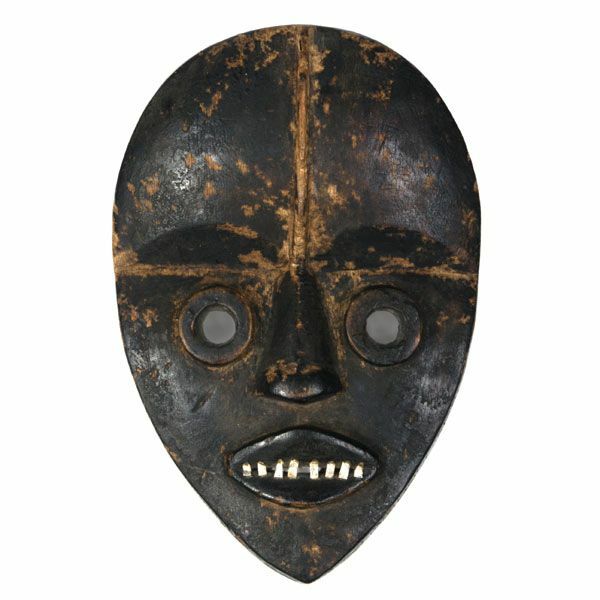 Wood was the most popular material used for masks but many other materials also were used, such as: metals, fabric, and pottery. Extra ornamental items included sea shells, feathers, animal hair, horns, teeth and straw among many others. 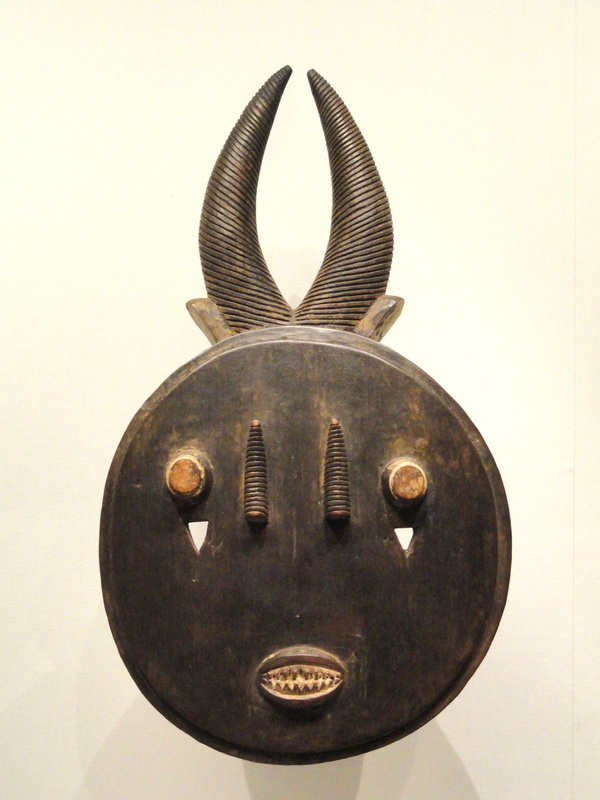 African masks are highly prized in the art world. 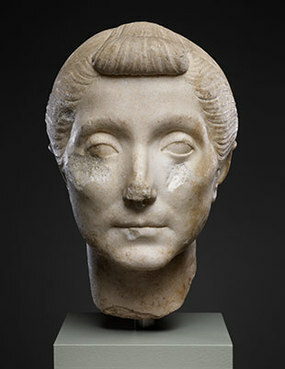 Many can be viewed in museums and art galleries around the world. 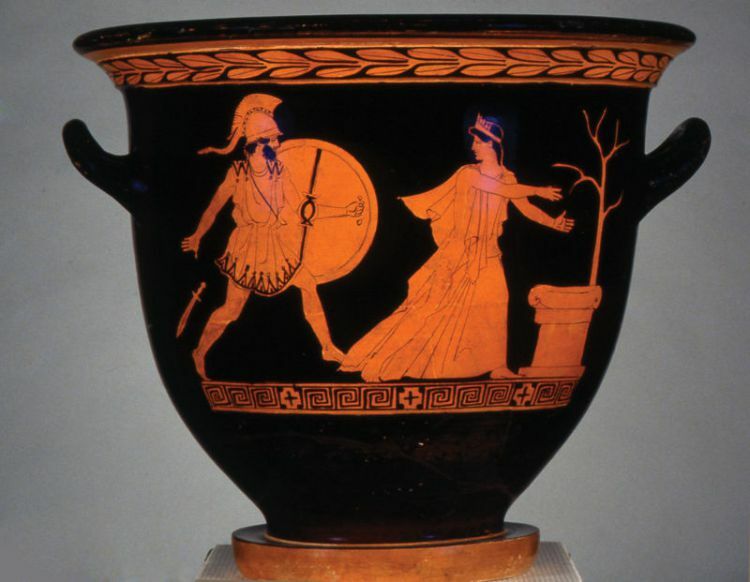 The ancient Greeks produced superb architecture and sculpture, but the greatest record of their culture and lives is found through their pottery. 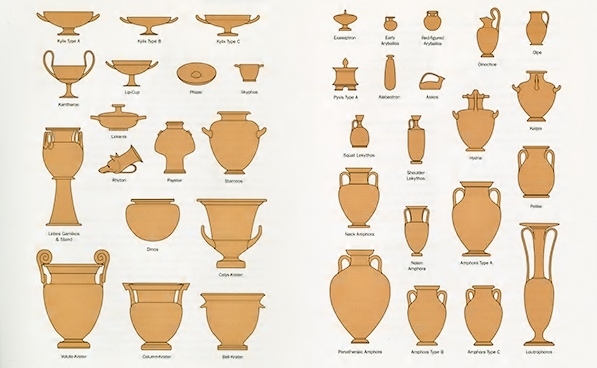 Greek vases have many beautiful shapes and designs. These are just some of the common shapes. Even though they are beautifully decorated, most of the vases were created for useful purposes. 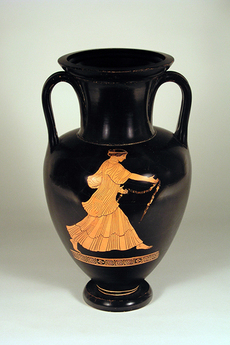 Ceramic vases were used daily for storage, carrying, service, and as containers. Elaborately decorated vases also served as grave markers, for rituals, or as gifts and even trophies. 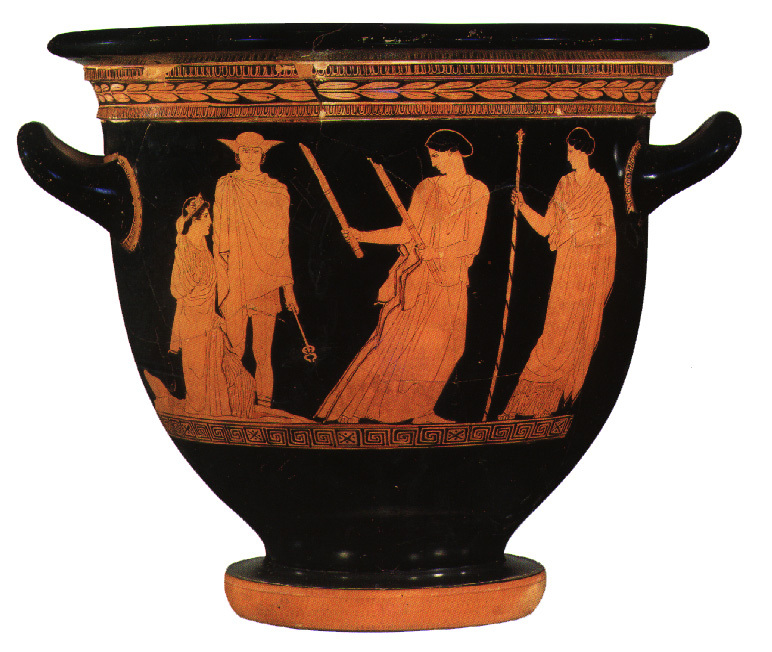 Designs on Greek pottery usually told a story. The stories told of daily life, such as sporting events and education. Scenes also depicted wars, the gods and heroes. 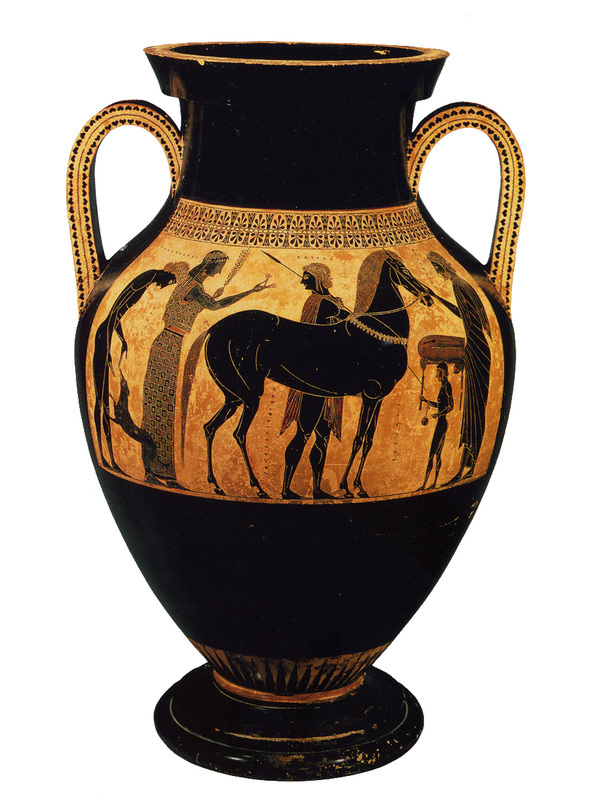 The most well-known vases from ancient Greece are what is known as either black-figure or red-figure. 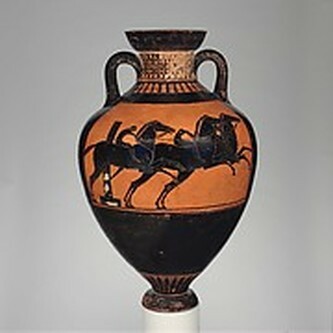 Black figure vases are the oldest. 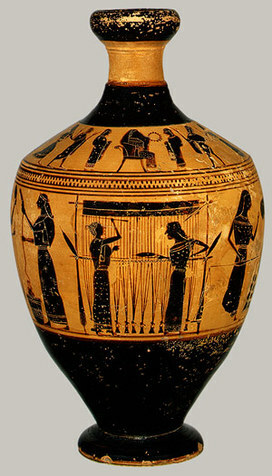 The design on a black-figure vase was created by etching out the drawing with a sharp object. The cut-away line then showed the red clay color of the vase. 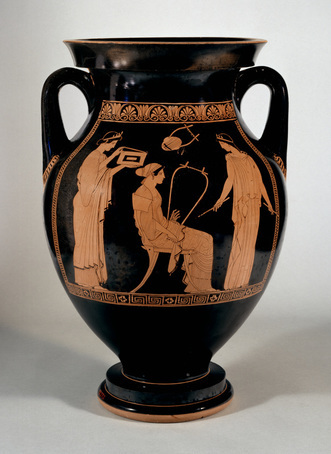 Red-figured vases were created by directly painting the design instead of etching it out, which allowed for more detail. 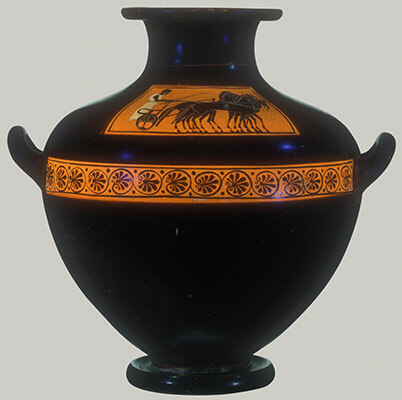 Red-figure vases eventually became the preferred way for the Greeks to decorate their vases. 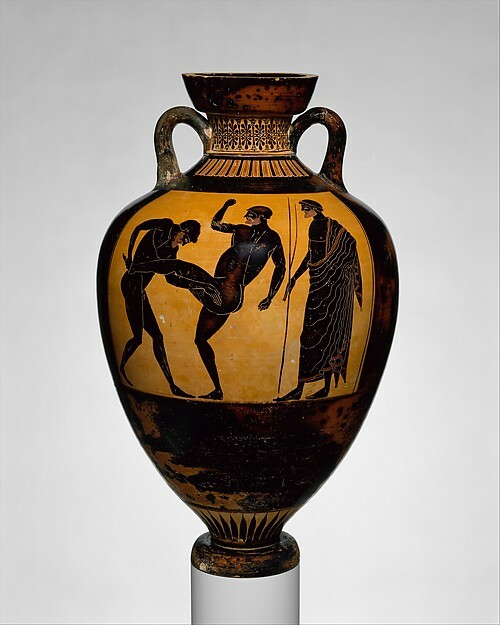 Black-figured Greek vases date back from about the 5th century B.C. Some vases date back even centuries before those. 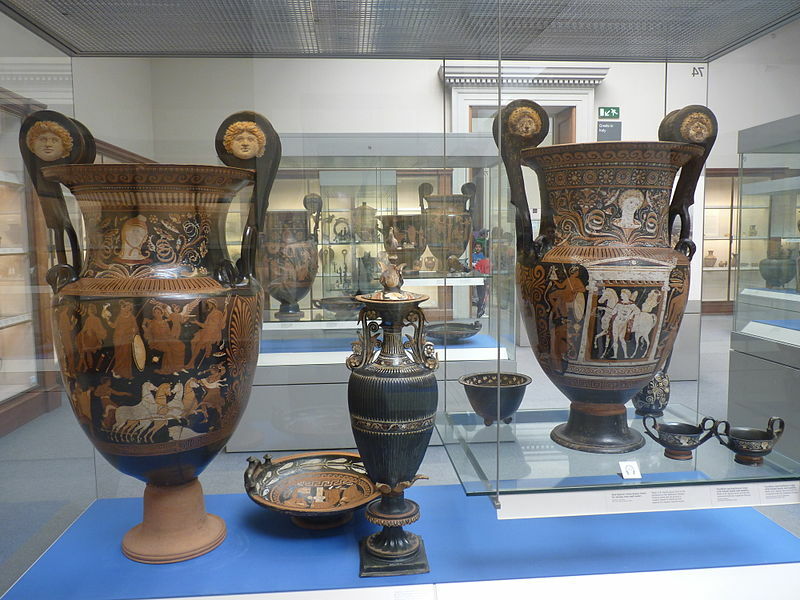 Over 100,000 ancient Greek vases are in collections and museums throughout the world today. 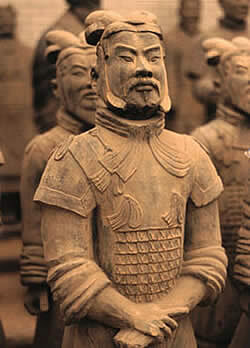 The most famous body of sculpture from ancient China is the Terracotta Army. 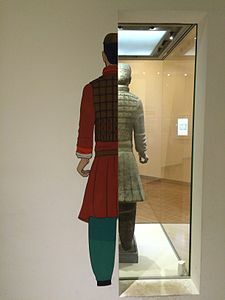 When the first emperor of China died over 2000 years ago, he wanted an army of soldiers enclosed with him in his tomb to protect him and give him power in the afterlife. 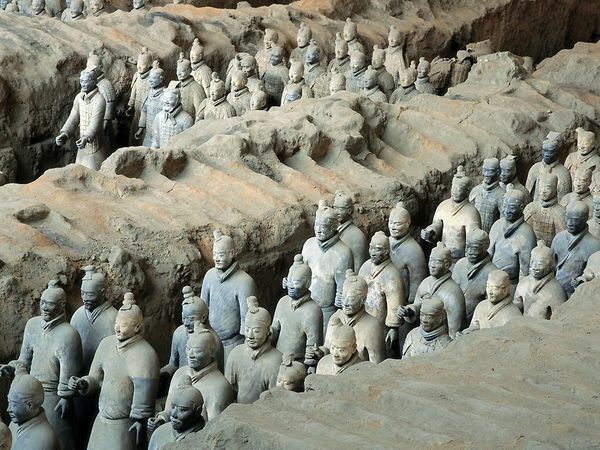 The emperor’s workers created an estimated 8,000 life-size statues made of baked-clay. 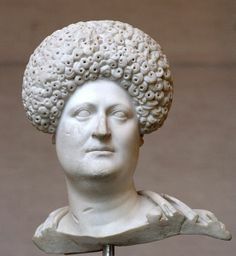 Terracotta means “baked earth” in Italian. These amazing sculptures were not discovered until 1974, when a farmer was digging a well. The soldiers are arranged in trench-like corridors and are positioned according to rank. The soldiers also vary in height with the highest ranking generals being the tallest. The sculptures are very detailed. 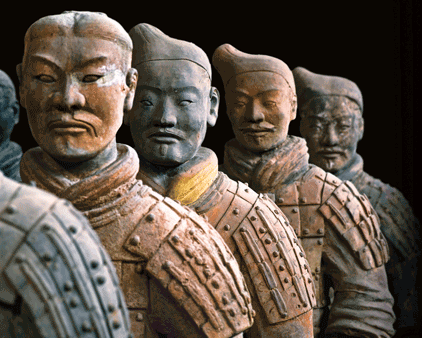 No two of the Terracotta Army are alike. They each have unique facial characteristics, hair, and uniforms. In some of the corridors, clay horses are aligned four abreast with wooden chariots behind them. The clay soldiers are mostly gray now, but patches of paint reveal that they once had brightly colored clothes. 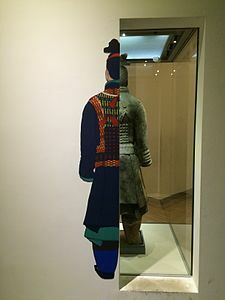 The photos above speculate how the soldiers' uniforms were colored. 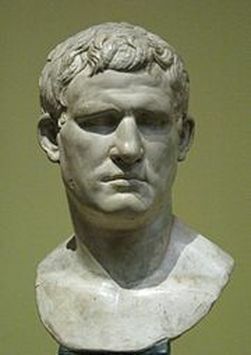 Swords, arrow tips, and other weapons were also found with the army. Four pits have been excavated, one of which was empty. Work at the site is ongoing, and the emperor’s tomb itself has yet to be explored, probably due to concerns of damaging the contents. 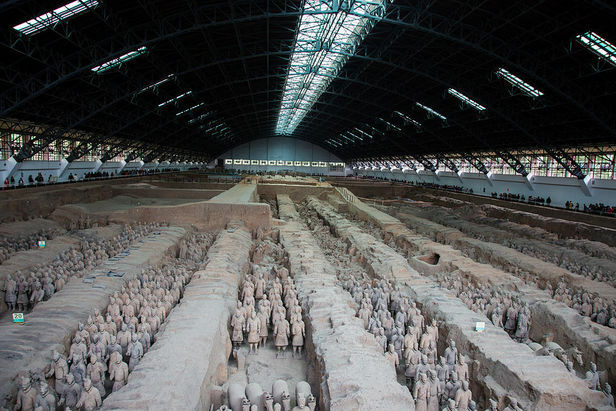 The Terracotta Army can be viewed through a museum established on the site. 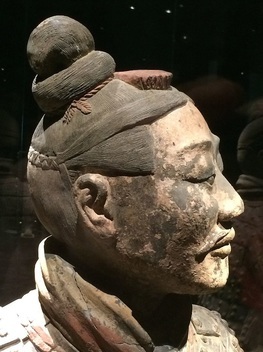 Currently, ten of the full-sized soldiers and other objects from the Terracotta Army are on display at the Chicago Field Museum. 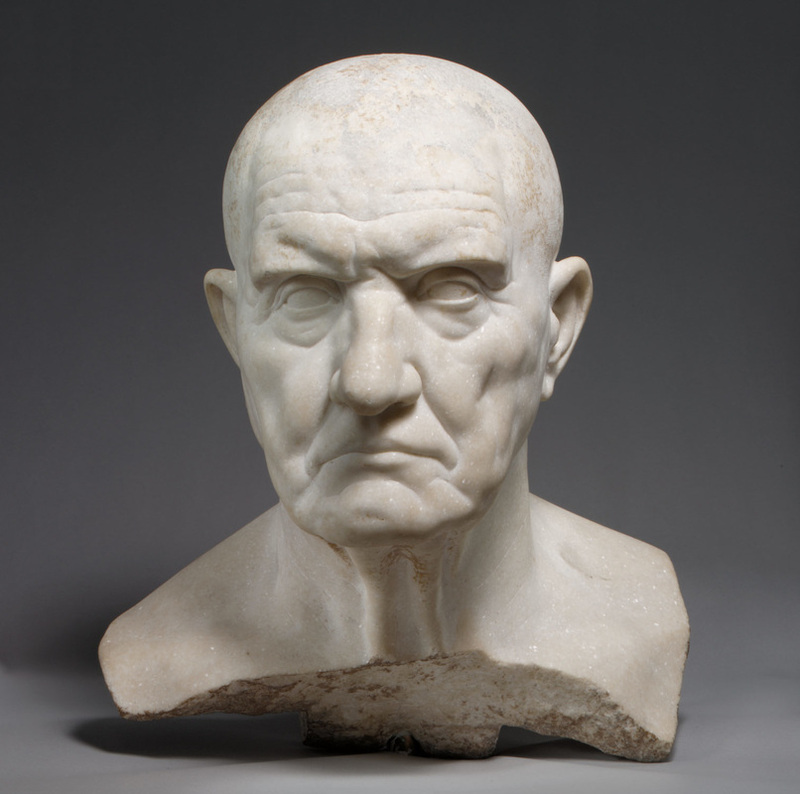 These ancient busts show real personalities, even though each person lived thousands of years ago. 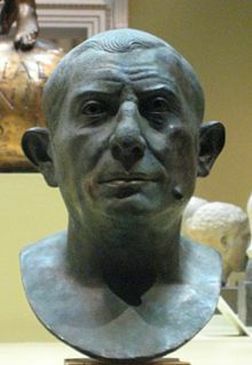 The sculptures might show warts, wrinkles, scars, or flabby skin instead of an idealized smooth, young face. 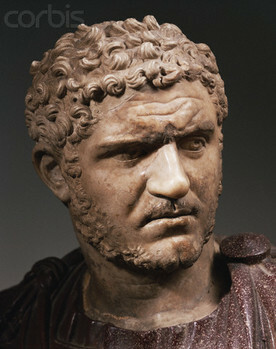 The bust of Caracalla shows the emperor’s character with his taunt mouth, turn of the head, and harsh-looking eyes. 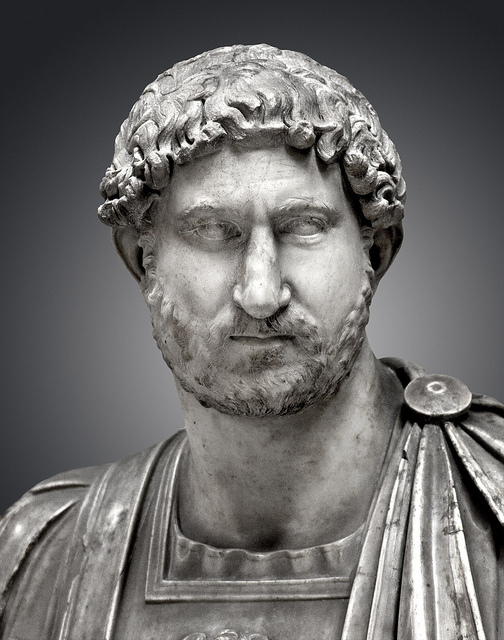 He was indeed an evil emperor who had many people murdered, including his own brother. 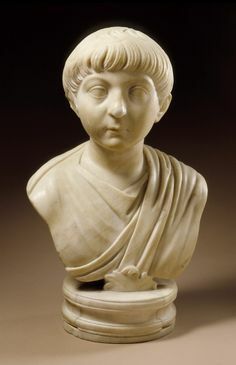 One reason portraiture was so dominant in Roman sculpture may have been because Roman tradition was strong on family and ancestors. 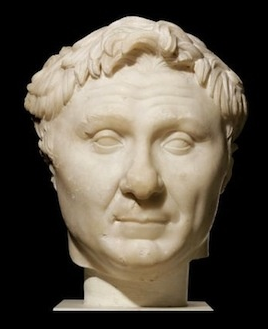 Roman busts depict their subjects with much realism, showing true individuals. Historyofmasks.net,. " 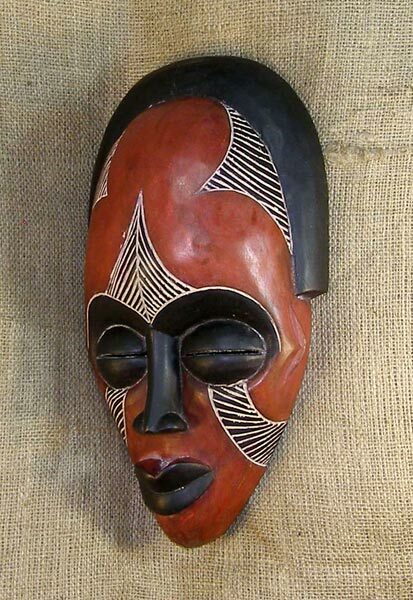 History Of African Masks - African Tribal Masks ". N. p., 2016. Web. 29 Feb. 2016. Khan Academy,. "Khan Academy". N. p., 2016. Web. 26 Feb. 2016. Mathie, Frank. 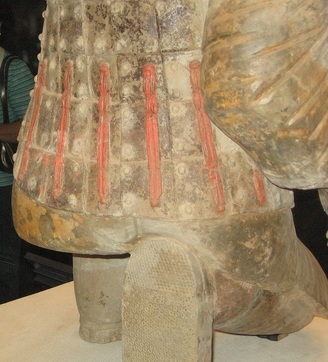 "Chinese Terracotta Warriors On Display At Field Museum".ABC7 Chicago. N. p., 2016. Web. 2 Mar. 2016. Roach, John. 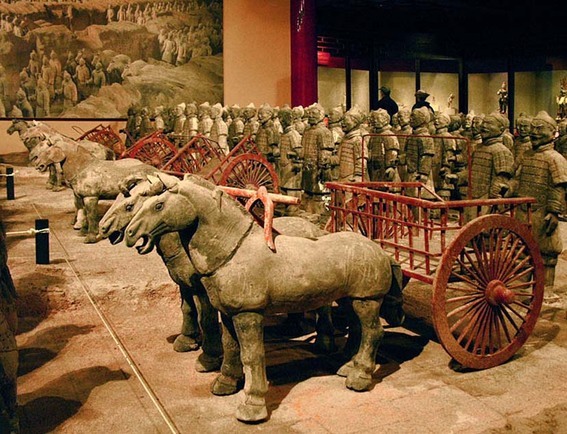 "Emperor Qin's Terra Cotta Army - National Geographic". National Geographic. N. p., 2016. Web. 2 Mar. 2016. Wikipedia,. 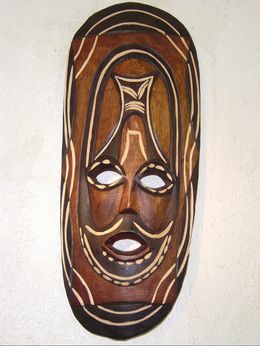 "Traditional African Masks". N. p., 2016. Web. 29 Feb. 2016.